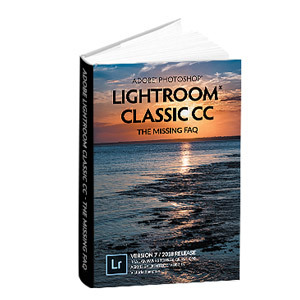 Lightroom Classic Tutorials > Catalogs > Still confused about how to upgrade your catalog for Lightroom 5? If you’re ready to upgrade, first make sure you have a current catalog backup, just in case something goes wrong. Proper measures have been put in place to avoid disasters, but you can never be too careful. When you open Lightroom 5 for the first time, it should follow any existing Lightroom 4 preferences, and either prompt you for a catalog to open, or try to open your default catalog. If you’ve never run Lightroom on this machine, it will ask you where to create a default catalog. When you try to open any earlier catalogs, Lightroom 5 will ask you to upgrade your catalog. You can select a different folder name or location for the upgraded catalog if you wish. The new version 5 catalog will be an upgraded copy—your original catalog won’t be changed, although the previews file will be moved to the Lightroom 5 catalog. You may want to move the original catalog to your backups folder once the upgrade is complete. The upgrade process may take a while, as it checks the original files for additional information, for example, the bit depth and color profile. Note that if the original files are offline, for example, on disconnected external hard drives, then that extra metadata will not be added to the catalog. Laura Shoe has an excellent video, and many thanks to Jim Wilde for the guest post below, which covers the extra points to look out for if you used the beta for ‘real work’. If the LR5 Beta catalog is no longer required: Optionally uninstall the LR5 beta software first (may not be necessary, but perhaps beneficial to ensure a clean environment for the new install), then remove the beta catalog (zip it up if needed for archival purposes, else delete it). After that you can proceed as if doing a clean installation and upgrade of the previous version catalog, as per the basic instructions above. If the LR5 beta catalog is required, and is to be merged with existing previous version “master” catalog: in this situation, even if the LR5 beta software is uninstalled first, when starting LR5 general release for the first time it will open using the LR5 beta catalog. This can be circumvented by resetting or deleting the LR5 preferences file first, but for this note I’m assuming this is not done. So, with the beta catalog open, go to File menu > Open Catalog and select the previous version “master” catalog in the resulting file browser window. This will result in the catalog upgrade dialog appearing, as per the basic instructions above. When the upgrade is complete, and the catalog opened into LR5, you can then proceed to File menu > Import from another Catalog. In the resulting file browser you need to select the LR5 beta catalog, and proceed to make the appropriate selections to achieve the merge of the 2 catalogs. Note: It is possible to proceed the “other way round”, i.e. open the beta catalog first, then run the catalog merge by importing the previous version catalog using the File>Import from another Catalog procedure. However, the problem with this approach is that all Publish Service collections that you may have setup in the previous version catalog will be lost, as “import from another catalog” does not transfer these. So if you are a user of Publish Services, proceed with caution if trying to merge an LR5 beta catalog with a previous version catalog. I wouldn’t expect a notable increase in size for a basic upgrade Rubin. Smart Previews average around 1mb per photo, but you don’t have to build them if you don’t need them, or if you don’t have the disc space available. Such a useful article Victoria. All of my files are missing again after locating missing files from external hard driv after i close lightroom and log out and then open it again and files are miaaing again. Any solution to that problem? Hi: I upgraded to LR 5 from LR 4 (and recently downloaded Ver. 5.2) I don’t recall ever receiving a prompt to upgrade my catalogue and the title of the catalogue as it appears is “Lightroom 4 Catalog – 2.2” So my question is: Does the fact that the catalog is identified as “Lightroom 4 Catalog” indicate that my catalog not upgrade when I originally installed Lightroom 5, and if so, how do I accomplish this after the fact? Thanks! Hi Brian. No, the catalog will have been upgraded – that’s where the 2 on the end came from. 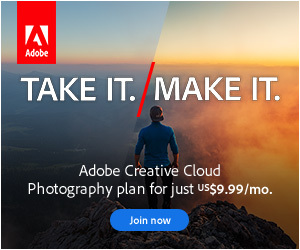 I know it’s a bit goofy that they don’t change it to Lightroom 5 Catalog! If it bugs you, you can rename the catalog in Explorer/Finder. Just make sure you rename the previews folder/file to match. I’m following all the steps described here but I can’t see any of my editing in LR5! Please help!! I copied my LR4 catalog in a folder on my desktop to avoid any problem with the original one. I open LR5 and point it to the catalog copy in the desktop folder. LR5 accept it, make the upgrade and restart itself. All the pictures are there but not the edit I’ve done to them in LR4. No clue what’s going on! Thank you so much!! I’m desperate! This is what’s happening. The picture below is from LR5: on the left an exported copy (jpeg) for printing of my edited photo. I can’t see the original picture (on the right, CR2 file) with the adjustments I’ve made. All I can see is the original file! The same CR2 file in LR4 is black and white as the exported version on the left. That looks like you’ve imported the photos again. I’d you look in the history panel! does it say anything other than the import stage? Perhaps you used synchronize folder? Anyway, let’s go back to basics. It sounds like you can still open LR4 and see you previous catalog, right? 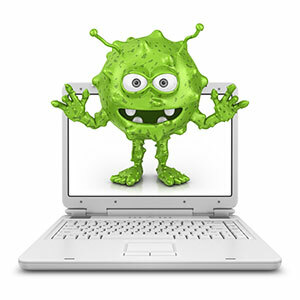 Which operating sysystem do you use Mac or Windows? I got it!! I forced a backup in LR4, grabbed the file and did all over again and not it works!! As you can see in the image below from LR5 I can now see all my edits applied to the CR2 file. I use windows 8 BTW. Great job, well done. I have no idea how you got into a tangle, but at least you’re out of it now! My photos were offline (on an unattached NAS) when i upgraded my catalog. Lots of the time, when I’m filtering on metadata, it feels like (it takes enough time that it seems) LR must be going back to the original files on the NAS for the metadata. Shouldn’t that metadata per image be stored in a local database, like the catalog file? Is it possible that upgrading databases while files were offline prevented LR from storing this info in the catalog file? Hi Luke. Yes, having the photos offline at the time of the upgrade would have prevented it adding the extra metadata (bit depth, color profile, etc.) but the last time I checked, that would only be added to the database if you purposely read from metadata. How long are the searches taking – and what are you searching for? I got a new computer and updated to lightroom 5 at the same time from lightroom 3. my old catalog is on an external hard drive. Every time I try to open it says “The Lightroom catalog cannot be used because the parent folder “/Volumes/Fio’s freakin huge backup/Lightroom/Lightroom 2014” does not allow files to be created within it.” Can you help? Hi Fiona, congratulations on the new machine. That looks like a folder permissions issue. Are you on Windows or Mac? And what was the old operating system? Do you know how the drive is formatted? Hello, I’m interested in this thread. Did you ever find out the problem? I, too have my backup on an External hard drive. Can you give me any pointers so that my upgrade to LR5 is as seamless as possible? Thank you so much!! Hi Jessie. Are you having problems with backing up then? What’s happening in your case? Thanks for your willingness to help! I haven’t even attempted the upgrade yet. I’m a bit hesitant since I’m so new to it all. Admittedly, I used LR3 to edit my photos and was successful in doing so, but really have not scratched the surface of everything LR is capable of. I’ve got about 3 years worth of edits in LR3, and now that I have LR5 for an upgrade, I want to make sure I am doing it the right way. Even though I’ve used it for so long, I am essentially a beginner at this point. Have I made it harder for myself since all my photos are stored on an external hard drive? Or does it need to be connected to my laptop as I upload LR5. Is there a step-by-step process you can show me? No worries, it’s really easy, honestly. Then make sure you’ve got your photo external hard drive plugged in. Next, install LR5 the normal way. Finally, open LR5. It should find your LR3 catalog and ask for permission to upgrade the catalog. Say yes! Wait… make tea… drink tea… if you have thousands of photos, it might take a while. When it finishes, you’ll be able to carry on working as normal. That’s it! Just a couple of things to be aware of. When you import new photos and go to Develop, you’ll see the new sliders. For old photos that you’d already edited, you’ll see the old sliders. If you want to update the old photo to the new sliders, click the lightning bolt just under the Histogram in Develop, but be aware that you’ll then need to edit it again. If you don’t click the lightning bolt, they’ll stay as they are. It all sounds so easy, I guess that’s why I’m so hesitant… Thanks for the step-by-step. So, I don’t need to “de-install” LR3? Or do they just neatly merge? From there, (and after several beginners tutorials), I want to create photo books. Is it true that it links to certain photo websites such as My Publisher? You have been incredibly helpful! You can deinstall LR3 now or later. It doesn’t really matter too much when you do it, but I like to be tidy and do it first! It doesn’t like to My Publisher, but it does link to Blurb. They do nice quality photo books. Hello! I spent all day reading your link to what I need to back-up before I install LR5. I have another question – I have outgrown my external hard drive and bought a new one. I would like to work off the new drive, but will it have broken the path to all my existing photos/edits? How do I “point” it to the new hard drive. Does this make sense? Thanks again for your help. Are you Mac or Windows Jessie? If the new drive is replacing the old one, and everything’s in the same place, then you can just set it to the same drive letter as the old one. If not, you’ll need to use Find Missing Folder to link up with the new location. It’s probably better done as a separate task from the upgrade. A recommendation I received on Lightroom Lab.com was to move my Lightroom catalogue to my new external hard drive where the pictures now live. Do you have any details doing it that way? What was the purpose of moving the catalog to the new external hard drive exactly? Where does it currently live? Or put another way, what was the question that you asked them, in order to get that answer? Hi Jessie. I’m happy to help, but I need to know the answers to my previous questions. Why did you want to move the catalog to the external drive? Is the new drive just replacing the old one? Where’s the catalog stored at the moment? My answers must have gotten lost in the mix last night… I want to move the catalog to the external drive so LR will automatically “find” all the pictures that were moved to the new external hard drive. (I outgrew my old one, so I moved all my photos to an external hard drive with more space). I was worried that all my file structures would be broken and I wouldn’t know how to retrieve all the meta data. So, yes, the new one is replacing the old one. I haven’t moved the catalog yet because I want to know if you think it’s safe to do so. The catalog is still on my internal hard drive on my laptop. I thought doing all of this before I upgrade LR3 to LR5 would be good. Moving the catalog to the new drive won’t automatically find the photos. If the catalog’s currently on your internal drive, the simplest solution is to leave it there (I’d usually recommend that anyway, unless there’s a good reason to put it on the external drive). Then just set the new drive letter to the same as the old drive letter (i.e. if the old external drive was E, make the new one E). If the path to the photos on the old drive was, for example, E:/My Photos/2013/12, and you make the new drive E instead, Lightroom will look for that path on the new drive, with no need to find individual files or folders. Thank you, I’ll try that this evening. Huge sigh of relief – I can stop hyperventilating now… Changing the drive letter worked. Thank you!! Now, onto the install….